If you own a Tesla, the 8 year infinite mile warranty covers the battery and drive unit, so it is unclear to see how long the function of the Tesla brake calipers (made by Brembo) are actually covered for, but we would assume it to be around 3 years. Don’t be scared! 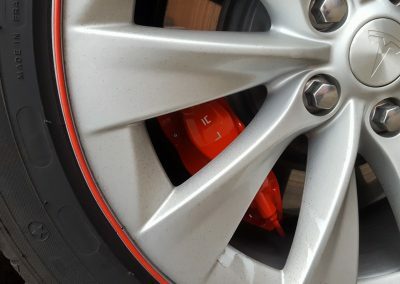 If you do require a refurbishment on the Tesla brembo calipers, we can do it and it won’t cause any problems with the electronics on your vehicle. This includes the separate rear parking brake caliper also. You don’t need buy the red calipers upgrade, we can do it for you for less than half the cost AND, we will give you a 4 year warranty on the paint finish on cars under 1 year old. Cars older than 1 year will get the standard 2 year paint finish warranty. You can have the same red Tesla give the Bremo’s on the upgrade, or you can choose any colour imaginable. Calipers fully prepared ensuring the best finish straight from the gun. Due to our processes, we don’t need to remove pistons, seals etc. Calipers have been primed, painted red, stencilled with the Tesla logo, lacquered and polished. Pads now fitted back into the caliper. We are the primary specialists in our field with years of experience behind us and much more caliper remanufacturing ahead of us. Send your brake calipers to us for a rebuild and we can have them back to you in next to no time at all. 2 Year caliper function warranty as standard or 4 years when combined with our high-end painting upgrade. 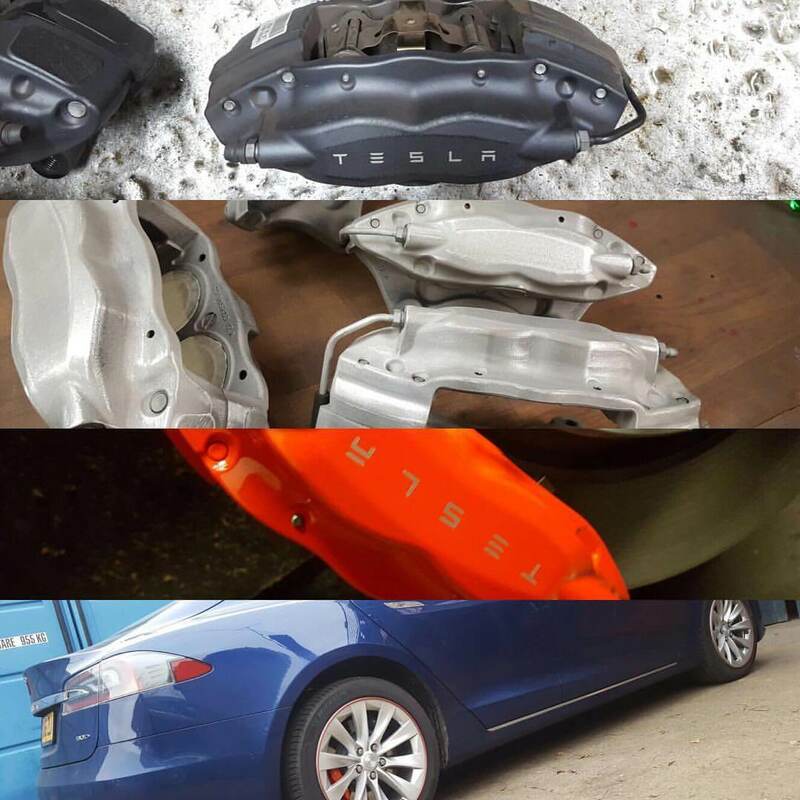 We stock all parts for the Tesla red calipers package and can rebuild them if required.